Moy Park is one of the UK’s top 15 food companies, Northern Ireland’s largest private sector business and one of Europe’s leading poultry producers. With a turnover of £1.4 billion the company employs over 12,000 people across 12 manufacturing locations in the UK, France and Holland. 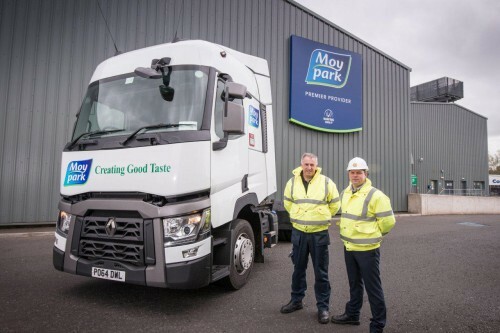 Moy Park is part of Pilgrim’s Pride, one of the world’s leading chicken producers. Based at Donaghmore Hatchery and reporting to the Hatcheries Manager, you will be responsible for ensuring all egg / day-old chicks are collected / delivered in an efficient and effective way to the highest standard of hygiene and quality. For this position applicants should have a good basic education and possess a current, valid HGV Class 2 Licence. An awareness of hygiene and safety is essential. As it is a requirement that the Lorry Drivers effectively liaise with Managers, other Lorry Drivers and Farmers, it is essential that candidates can read, write and understand English. Ability to operate a Tachograph is essential and you must have evidence that you have an up to date completed CPC. Experience of transporting poultry is desirable. Due to the nature of the role, candidates will be expected to be flexible and work overtime as it arises. Hours will be discussed at interview. This is an excellent opportunity to join a successful, growing and leading company which provides opportunities for collaborative team-based working, learning, development and career advancement together with attractive, competitive and comprehensive remuneration packages.